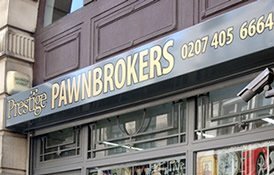 Deborah Papas, gemologist from Prestige Pawnbrokers of Channel 4’s Posh Pawn told Express.co.uk: “The Duchess of Sussex never ceases to amaze us with the beautiful jewellery she wears. “She chose to wear an absolutely stand out pair of chandelier style diamond drop earrings in three strands set with white and yellow coloured diamonds. “Most are round but some are pear shaped to give the stepped drop effect and all set in white gold. “These drops appear very heavy almost pulling down the lobe but sparkle beautifully even with the slightest turn of the head. Truly stunning. So how much are they worth? Half a million, according to Deborah.